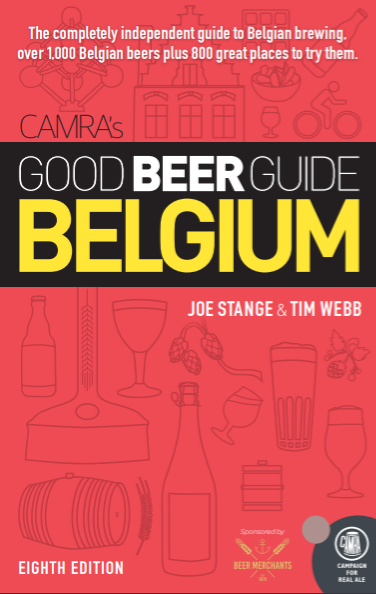 Thirsty Pilgrim: Bite-Sized Chunks of Brussels Beer News. First: Earlier I reported that Dupont plans to release, oh so briefly, a dry-hopped version of its world famous and world class Saison. Now I can confirm that it will be available at Nüetnigenough... sometime in April. Personally I hope it's earlier rather than later. If not, have one for me. Next: I'm late in reporting this, but Ultieme Hallucinatie has closed, apparently for good. Um, yes, that happened three months ago. The owner was getting up there in years and was unable to find a buyer. The building is an Art Nouveau classic and I'm sure the price was therefore quite high. Sad that it means we can't go there for an Achel or a Cantillon gueuze anymore. I'm holding out hope, but not my breath, that someone will come to the rescue. Last, for now: The farmhouse beers of Blaugies, typically only available in bottles, are suddenly going into kegs. I was told that was a possibility when I last visited about a year ago. The classic Saison d'Epeautre will be on draft this week at Moeder Lambic St-Gilles. While supplies last. 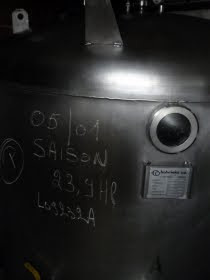 Pictured: Saison in its conditioning tank at Brasserie Dupont.